This month’s Round Robin is about how I establish a story, its characters, and setting. How do I immerse my readers in my story? First, I must immerse myself in the location. This means either research or I’m very familiar with the area. For such stories like The Whispering House, Last Chance, and Mr. Hotness, I spent a lot of time in these locales. Well, not necessarily Las Vegas where Mr. Hotness is set, but I’ve been there enough times to describe it. However, places like Argentina, the interior of China, Tibet, India, and ancient Egypt I have to research. Once I can see it the location in my head, the flora and fauna, the people and their dwellings, that’s when I can begin the process of writing. With the research somewhat complete, it’s easier for me to get inside the character’s head/body. If I can see through their eyes, experience what they’re experiencing, the writing will flow easily. However, some days, my character plays coy and makes me work harder for the words. I’m a member of a beta crit reading group. It has improved my writing. One thing that stuck with me from one of our first rounds was an article Steve Bargdill referred me to. This article has changed the way I write my characters, which, in turn, affects the setting. Rather than tell you how the person is feeling, I try to impart it with descriptions of how a person is feeling viscerally. I believe this pulls the reader in more than saying something like, “She was frustrated.” It does make it challenging, and I certainly haven’t perfected this yet, but I feel it puts me deeper into the character’s POV. 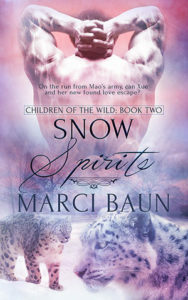 Snow Spirits is my current WIP. This is the first work I’ve used this new “technique”. She nodded and padded over to the pile of backpacks. Only four were there. Hers had to be where she’d left it. She trotted back into the tunnel past where Pema stood at the entrance and stopped when she turned the corner. The two bodies of the men they’d killed lay in the middle. Both stared at the ceiling, unseeing. Blood pooled under them. She shook from head to toe and closed her eyes for a moment to gather herself. With a deep breath, she jumped over the dead men and walked the few steps to her backpack where it leaned against the jagged wall. Drops of blood stained it. Another shudder rippled through her. Every time she put it on, those stains would be there. She’d have to carry it, always reminded that she’d killed someone. When they reached India, she’d burn it. Turning her back on the bodies, she shifted and reached for her clothes. A puff of cold air lifted the hair on the nape of her neck, chasing goose bumps across her skin. It crawled as if someone watched her. She glanced around, searching the dark, but nothing stirred. Her heart galloped in her chest, and she caught her breath. Were the soldiers’ spirits lingering? Unwilling to find out, she threw on her clothes, grabbed her pack, ran past Pema into the cave, and stopped, panting. 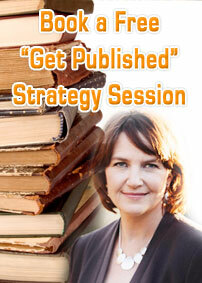 Now that you know how I establish a story, character and setting, how do you do it? Like you, I find that being able to “see” the location in my head helps me to start enlarging on the lives and drives of my characters. Even when I start out with a premise that includes the character’s motivation and goals, that setting ends up influencing it. I much prefer to physically BE IN that place, but sometimes you just can’t. Research is the only recourse. I enjoyed the article, Marci, and Palahnuik’s advice to use “Only specific sensory detail: action, smell, taste, sound, and feeling.” I also spend time building the setting in much the same way you do. Thanks, Rhobin. As I said, that article has changed the way I write, and made it much harder, but better. Hi Marci, like you I try to visit the setting I’m writing but more often I use the internet. Thanks for sharing the article by Steve Bargdill. He makes some good points I think I’ll try and follow. This wasn’t by Steve, but he pointed me to the article. That extract from your writing is very powerful. The bodily sensations compel the reader (well, at least THIS reader) to become the character. In my writing, I use devices like this for high-tension, important scenes, but then join them with briefer “word bridges” in which telling allows me to quickly get to the next scene I want to show with immediacy. I really envy authors who are so famous that they are sent by their publishers to foreign countries or remote settings, so they can “get a feel” for the area they’re going to set a story in. Like you, I try to write about places I’ve been to, but sometimes that’s impossible, and you have to depend on the internet to answer questions for you. Not the same as personal experience, though. Interesting scene you used. And as for getting into the characters’ heads, obviously when you’re writing about a shifter, it’s all imagination. Actually it’s all imagination for all of our characters. I’d love to be sent to study these places. Marci, I found your sensory details yanking me right into the center of your story. Wow! You really nailed that passage you quoted. I looked up the reference and was astonished that I had it bookmarked. We all know if is much harder to really describe the feeling than to write “scared,” or “angry” or whatever. But we have to do the work. You obviously do a lot of location research, and it always shows in a writer’s work, even if she only uses 1/10 of it on the page.